As we have noticed, the innovations within the mobile app development industry have been invading our daily life. Knowing that millions of people are now using smartphones alone or along any other gadgets, it just shows that the mobile industry is advancing to its next level. With the advancement and convenience of using mobile devices, we cannot deny that smartphones come in handy whenever and wherever we need it. Smartphones made communication easier on our part. Even in those times when we need to know something immediately, smartphones have always been a big help to us. Advertisers have seen how in-demand smartphones are nowadays. That is why these advertisers are tapping into the power of advertising through mobile apps in advancing their niche. Since consumers are already using these technologies, we are seeing a distinct migration to mobile advertising mainly due top the demand and potential. Basically, there are several other mediums that can be used to advertise your business. Why start using mobile advertising now? Here are some of the reasons. Mobile usage is increasing wherein more and more people use smartphones on a daily basis. They bring their phones at work, at school or at any other places that they want to go. Since their phones are available within reach, they can immediately access the Internet when they want to especially when doing so through the desktop is nearly impossible. What does this mean for the advertisers? Advertisements can easily reach your target customers; the ads follow them anytime and anywhere those target customers might be. They can see your ad without any complications for as long as they are connected to the net. Since the ad is placed on the mobile app, the number of viewers of your ad will increase eventually. Some mobile advertisers rely on people who usually use their phones to buy products ad/or avail services from the online shops. Some buyers even look forward to receiving notifications from various online sellers. These are the buyers who are most likely to engage with your ads since it is also favorable on their part. Living in a fast-paced world, the number of people who are using desktops is gradually decreasing. Common sense will teach us that bringing our desktop computer wherever we go is beyond the human norm – it’s bulk and such a hassle. Instead of desktops and even laptops, we all prefer bringing our smartphones since they fit our pockets. In essence, your advertisements are simply tucked into the pockets or bags of your target customers. They reach for these ads whenever they feel like browsing through their smartphones. The majority of smartphone owners have their devices turned on 24/7. They do it on purpose such as waiting for notifications about a promo perhaps especially your loyal customers. Of course, their gadgets need to be turned on for official businesses. Whatever their purpose may be, it simply means that whatever ad you want to serve them, they will immediately receive and view it. That is, whenever a customer seeks a brand or product that they really want to purchase and your ad pops up on the screen, a conversion would be within arm’s reach. That’s how you gain high-value customers through mobile ads. This is also one of the reasons most of the digital marketers are now into mobile advertising. Mobile advertising costs cheaper than putting an advertisement on television and radio. As a marketer, you would want a medium where you can easily and quickly reach your target market at the most cost convenient way like putting an ad on a mobile app. not to mention, the relative cheapness of the advertising channel allows advertisers to place as many ads on as many mobile apps that their budget allows. Through mobile advertising, it is also possible to track down potential customers. While it takes the right ad to be placed on the right mobile app to target the right customers, your ad can generate more response rate than the other mediums. Why not? More and more consumers are into online shopping. Generally, smartphones are usually not shared with others and are personal to the owner. That means you can serve your ads to the right people that you are targeting. Since you know who are most likely to engage with your ad somehow, you would know what type of mobile ad to serve them. Yes, you read it right. Smartphones are smart enough to track down the demographics of the users based on their behavioral activities while using their phones. 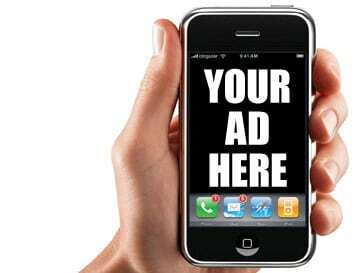 You can use the amount of available data to communicate with the smartphone users directly through your ad. Now that you know their demographics, you will also know who among the users can avail your products or services. This is particularly true to those smartphone owners who are searching for local-based companies. This can be to your advantage since your campaign will be more targeted to the local residents. Narrowing down your possible customers will allow you to focus more on them. Giving them great offers is one way you can make them 100% satisfied customers. Oppositely, they may contact you directly if they want to acquire services from you. With this exchange of information, monitoring conversions and repeat purchases will be easier on your part. Mobile advertising is here to stay. For digital marketers like you, there is no harm in trying and starting on it. In fact, it will give you more knowledge, experience and confidence in dealing with your target market. Take the risk and invest in mobile marketing now!